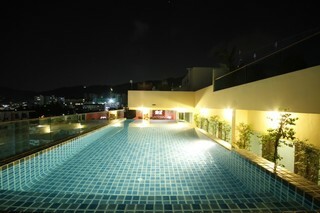 This resort is situated in the entertainment and shopping area of Patong. It is a short walk from swaying coconut palms and curving white sandy beaches. It vicinity features a number of restaurants, tourist attractions and lively dance shows. There are nightlife spots, diving shops and Muay Thai boxing. Karon Beach is just 10 min and Phuket Town is 30 min away, Chalong Temple can be reached in an hour by car. This newly constructed beach resort features budget-priced standard and superior rooms. 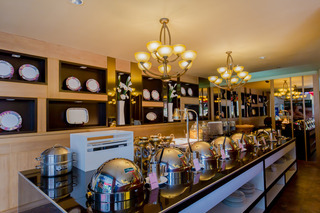 It offers most of the comforts and amenities found at the more expensive first-class resorts. 24-hour reception, a safe and currency exchange facilities are available, as well as on-site facilities and car park. All rooms are fully - equipped and have air conditioning, WiFi and double beds. Terraces also feature. The resort offers pool with a sun terrace, a hot tub and spa. This accommodation is a trendy boutique hotel decorated under the touches of graphic design and inspired from southern Thailand fabric pattern. 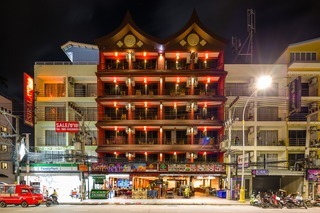 As it is located in an ideal spot of Patong, the hotel offers easy access to the city's must-see destinations such as Jungceylon shopping mall, Banzaan Fresh Market, and Bangla Road. It offers comfortable guest rooms, designed with guests’ every comfort in mind and fully equipped with all essential facilities, ensuring visitors a truly relaxing and soothing stay. All guest accommodations feature thoughtful amenities to ensure an unparalleled sense of comfort. Moreover, the hotel offers an excellent variety of recreational facilities, including a stunning outdoor pool and fitness centre ideal for those sports lovers wishing to maintain their daily exercise routine. 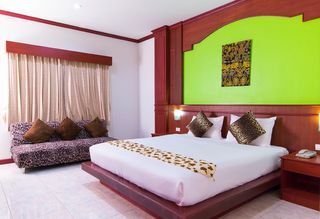 Situated in Patong, this enchanting hotel is the perfect place to enjoy a peaceful holiday experience on the idyllic Phuket. 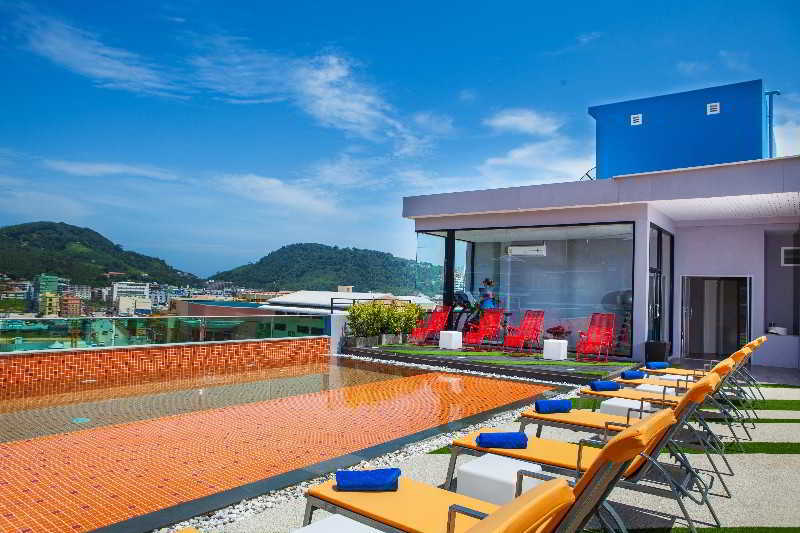 The hotel is only 5 minutes' walk from Patong Beach and just 500 metres from the popular Jungceylon Shopping Mall and Bangla Road nightlife. This convenient position offers also easy access to different stores and a variety of restaurants and bars. Phuket International Airport is a 60-minute drive away. At this property every effort is made to guarantee guests enjoy a stay as much comfortable as possible. It offers a vast array of services, including an internet station area, complimentary Wi-Fi and cable line in the lobby area. There is a snack-bar providing all-day coffee, tea, juice with cookies and drinking water. Set in a beautiful and peaceful environment, surrounded by a lush tropical garden, this picturesque resort offers an ideal base for those looking to escape from the daily stress and enjoy a relaxing and memorable holiday. 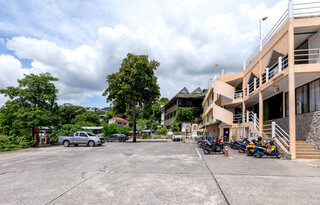 The property is situated at only 3 km distance from Patong Beach, where travellers can find a range of shopping places and entertainment venues. After enjoying a pleasant day at the sparkling outdoor pool, guests may relax in their bright and comfortable rooms equipped with modern amenities as well as a private balcony. Some of the rooms offer a stunning view of the Andaman Sea. The poolside restaurant serves delicious international cuisine as well as authentic local specialities. Visitors may treat themselves to some well-deserved pampering with a traditional Thai massage and enjoying relaxing moments in the sauna or the Jacuzzi.